This course covers the basic theory of what Reiki is, how it works, and the history of Reiki. You will learn how to heal yourself and others through a series of easy to learn hand positions that direct energy into the entire body. You will learn how to perform a healing session on yourself and how to complete Reiki session on a client / family member / animal companion. We will discuss what to expect from a Reiki treatment, the many uses and benefits of Reiki in everyday life, and Reiki as First Aid. You will receive four attunements that connect you with the Reiki energy so you become a pathway for its use immediately. The techniques learned in this class will facilitate healing on all levels: mental, emotional, physical and spiritual. Learning to heal yourself is the key element to this class. The class is a combination of lecture, discussion and practical application. Please bring notepaper and pen. Wear comfortable cozy clothing and bring a refillable water bottle. A fabulous 65-page manual and a personalized Reiki certificate is included in this class. You will learn all the teachings and application of 3 sacred Reiki symbols that will: increase your intuition, create emotional and mental balance, assist you in letting go of old patterns/habits/addictions that might be holding you back. You will learn how to send distant healing to your past (yourself and others), manifest a fabulous life now and send to future events. What is Second Degree? Why do we use symbols? The techniques will facilitate healing on all levels: mental emotional, physical and spiritual. The class is a combination of lecture, discussion and practical application. Please bring notepaper and pen. Wear comfortable cozy clothing and bring a refillable water bottle. Upon registration you will receive an email with all the details for your magical weekend. You receive a beautifully bound manual and personalized Reiki certificate. In this class you will learn about, and be attuned to, two more sacred symbols: the Master symbol and the Reiki symbol. These attunements will once again greatly increase your flow of Reiki energy. This class deepens your knowledge of Reiki and takes you into self-mastery. Reiki becomes more than just a technique and strengthens your connection to The Higher Power. It is excellent for spiritual growth and enlightenment. We will do a powerful meditation that will connect you to your own personal Reiki guides. You will also learn advanced scanning techniques, aura cleansing and how to create a crystal grid for manifesting. This class is a combination of lecture, discussion and practical application. Please bring notepaper and pen. Wear comfortable clothing. Bring a refillable water bottle. Upon registration you will receive an email with all the details for your magical weekend. 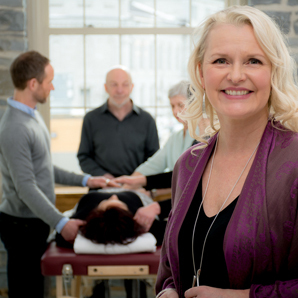 Cheryl Hiebert is a Registered Teacher and Practitioner with the Canadian Reiki Association – since 2001. This class is designed for those who would like to deepen their Reiki practice, or wish to complete their final level of Usui Reiki. You receive the information to teach all levels of Reiki and instruction on how to give attunements. A Reiki Master attunement is given to increase the flow of Reiki energy that allows you to then attune others. Some of the topics include: chakras, crystal layouts / grids in a Reiki session, and advanced healing techniques that can be used in a session. You read a book in advance and complete an assignment to be submitted before the class. Deep personal growth and clarity of next steps are integral to what you will take away from this class. This class is a combination of lecture, discussion and practical application. Please bring notepaper and pen. Wear comfortable clothing. Bring a refillable water bottle. Upon registration you will receive an email with all the details for your magical 3-day weekend. You receive a beautiful manual and personalized Reiki certificate. Cheryl Hiebert is a Registered Teacher and Practitioner with the Canadian Reiki Association – since 2001. This class is designed for those who would like to deepen their Reiki practice; or for those who would like to teach all levels of Reiki. Most people take this class and find their true calling, which may or may not include teaching Reiki. You will definitely have clarity on your life’s path! ….And so so much more! Please Note: **You can payments over the span of 6 months after your initial deposit has been made. 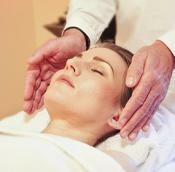 For anyone who loves the practice of Reiki, this truly deepens a Reiki healing session. In this workshop you will be shown and will then practice techniques that will allow you to perform a drum healing; either for yourself or someone else. You will learn how to bring the Reiki energy into the human energy field, which helps to facilitate a deeply relaxed state. 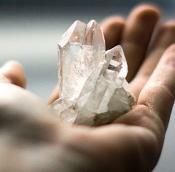 This healing energy affects all aspects of us: mental, emotional, physical and spiritual. It helps to bring us into harmony and accelerate our body’s innate ability to heal itself. The drum had been used for healing purposes for thousands of years. Drumming reminds the body of its ideal vibration – which is in harmony with the pulse of Mother Earth. Drumming helps to relieve stress, promote deep healing, is calming, and can help to boost the immune system. Reiki drum healing carries the Reiki energy more deeply into the body by transforming the energy into sound waves. 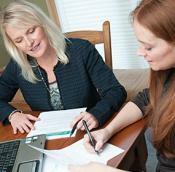 This one-day workshop is a combination of lecture, discussion and practical application. Handouts are included. Please bring your drum & beater, notepaper and pen, a pillow and a blanket. Wear casual comfortable clothing. Have you ever wondered how you can give back to the amazing beings in your life? These beings may be your animal companion, the deer you encounter on a morning walk, or the birds singing in your backyard. They make us smile, gasp in awe, teach us beautiful lessons about life and bring us incredible joy. Reiki is the key to giving back, and best of all, it is a tool that is simple to learn and use in your everyday life. It greatly accelerates the healing process and provides loving comfort to any animals in your life. In this one-day workshop you will learn natural healing methods and be given tools you can use to help reduce veterinary costs and build a stronger bond with your animal companions. Reiki – what is it, how does it work?